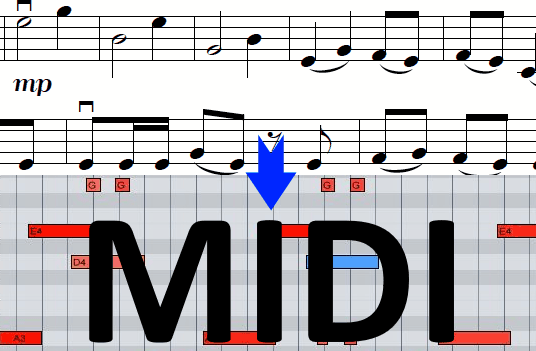 This tutorial explains how to convert sheet music to MIDI file. Sheet Music is one of the best ways to read music notation and learn about pitches, chords, etc. But, instead of reading if you want to play the sheet music, then converting them to a MIDI file is one of the best options. There are many software available that allow you to create sheet music manually or convert MIDI files to sheet music. But, when it comes to converting sheet music to MIDI, there are very rare software (or websites) available to do that. So, after spending hours, I have found a simple method using which you can now easily convert any sheet music (in PDF file format) to a MIDI file. You can actually do that using a free music notation software called “MuseScore“. 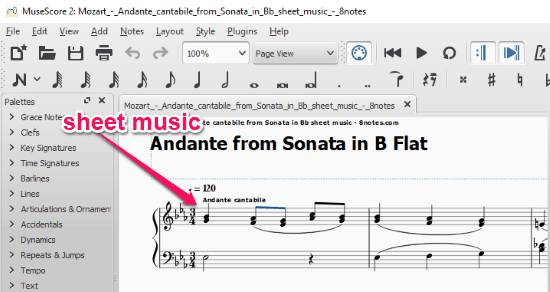 It allows you to easily import sheet music in a PDF file, turn it into a MuseScore project, and then convert it to a MIDI file. The converted MIDI file can later be exported and then use them on any of your music projects. Step 1: To get started, simply download and install MuseScore on your PC. 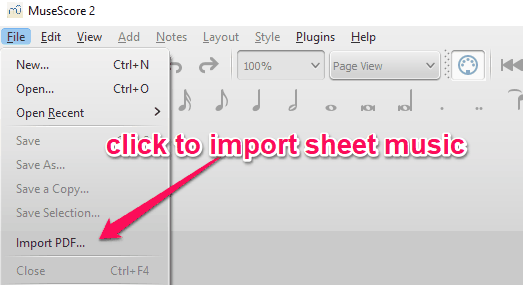 After that, you would need to convert the sheet music PDF file into a MuseScore project file. To do that, click on the “File” menu at the top of the window and then select the “Import PDF” option. Step 2: As soon as you do that, the MuseScore’s “Import” page will open up in your browser. Then you would need to create an account and then sign in to MuseScore. Now, on the Import page, you will see a button called “Select PDF File”. 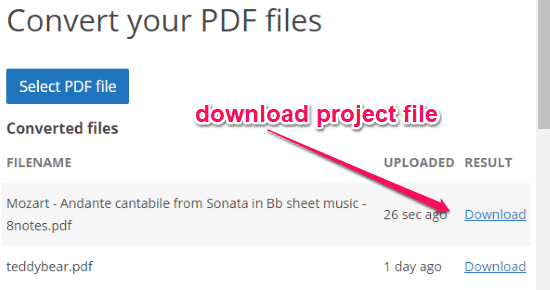 Simply, click on this button and then choose the PDF file that contains the sheet music. Step 3: It allows you to import the PDF file from your PC, Google Drive, OneDrive, Box, FTP, or using any URL. When you do that, the PDF file will be queued for a few minutes and then become available for you to download from the same Import page. The file will be converted into a MuseScore project file. Step 4: After downloading the project file, simply switch to MuseScore on your PC and select “File → Open” or press “Ctrl + O”. Now, you would need to select and import the downloaded project file to MuseScore. As soon as you do that, you will be able to see the sheet music on the main window. Step 5: Now, to convert it into a MIDI file, all you gotta do is select “File” menu and choose the option “Export” from the list. Once you do that, you will be able to save the sheet music as a MIDI file. The file will be converted automatically. Looking for a way to convert sheet music to MIDI file for free? Well, there is the solution for that. MuseScore makes it pretty simple for you to do that in no time. No more purchasing expensive music notation software for converting sheet music. You can use the converted MIDI file anywhere you want in your music projects.